As part of Sensoria, guitar virtuoso Stanley Jordan comes to the Halton Theater at 8 p.m. on Thursday, April 19. Special pricing for students, faculty and staff has just been announced. Students with an ID can now get balcony seats for just $10! In addition, faculty and staff can purchase the best seats in the house for $25 – that’s a $10 savings! Come see this Grammy nominated performer in the beautiful and intimate Halton setting. At these prices, tickets won’t last, so stop by the Halton box office today to purchase your tickets. 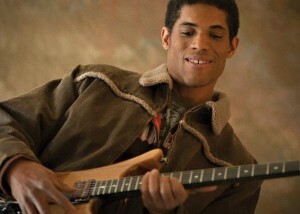 This entry was posted in Events and tagged guitar, music, Sensoria, Stanley Jordan by Mallory Benz. Bookmark the permalink.